If you adore the oceanic air and the sun is your skin’s best friend, you will certainly fall in love with Tenerife. Also called “Island of Eternal Spring” for its wonderful weather which lasts the whole year, Tenerife is best known for having some of the most beautiful beaches in Spain. What makes this island so special is the diversity of the way beaches look. So you have a top 6 most beautiful beaches in Tenerife. 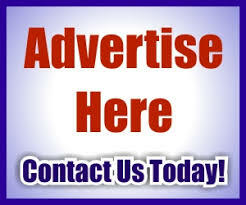 But…before moving to it, just to make sure you’ll arrive safely at your hotel and you won’t be another victim of taxi scammers, we want to recommend you Tenerife airport taxi, a private taxi service which guarantees you a good, fixed price. Being classified as a natural protected area, Tejita is by far one of the cleanest beaches in Tenerife. People are not allowed to get down to the beach by their car. However, there are some parking spaces especially arranged for tourist 5 minutes far from the beach, near the Médano-Los Abrigos road. The best part about it is that you will feel no smell of exhaust fumes, only the ocean refreshing perfume. This beach is famous among nudists, but they have their zone somewhere near a little bay. The rest of the beach is non-naturist. Regarded as the most beautiful beach in Tenerife, El Bollullo is surrounded by many cliffs that attract people’s eyes because of their interesting forms. 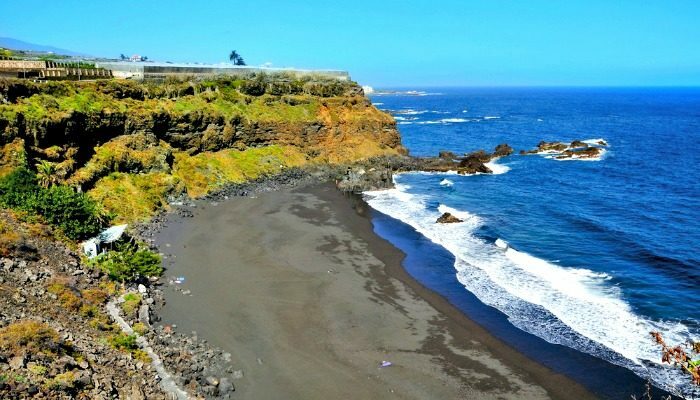 El Bollullo beach can be reached both by car and by walking along the coast, on a small path which starts from Puerto de la Cruz. The beach is relatively wild, there is only a café from which you can buy bocadillos and another few tapas dishes. Also, a restaurant located on the cliffs above the beach is open for tourists. This beach is situated near the olida Los Gigantes, on the south-west coast of Tenerife. The coastal zone around Los Guios mostly consists of cliffs, but what makes tourists magnetically attracted to this beach is the unique dark color of the sand. Los Cristianos is the main beach in the famous resort with the same name, situated in the south part of Tenerife, actually the sunniest part of the island. Here people can practice surfing and they can also rent pedal boats. The beach, having a fine-grained sand, is partially artificially created. Tourists have access to many facilities here: showers to clean the body off salt water and toilets to a great variety of restaurants, cafés and bars. 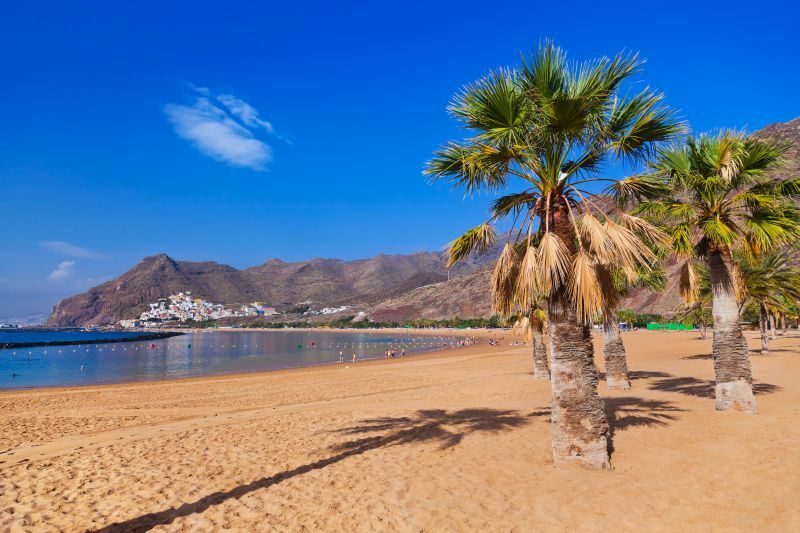 Situated close to Los Gigantes, Playa de las Americas lays among the most acclaimed holiday resorts in Europe. The central beach in Playa de las Americas is represented by Playa de Troya. Also the best-known beach in Tenerife, this beach is perfect for water sports activities, including “banana boat” navigation. The golden color of the sand and the calm water make a lot of tourists to come here. If you’re the “party person” type, this beach is just perfect for you. Last but not least, Paraiso (the paradise) beach is, as its own name suggest, like heaven for the ones that love exotic places. The beach was recently renovated, some artificial fine sand was added on the natural sand and the old sun lounges, sunshades and showers have been replaced with some new ones. To conclude, hope this article strengthen your wish to visit Tenerife. And if you go there soon, be careful to Tenerife transfers to and from the airport.